Make informed retirement decisions with CE courses from today’s experts. PLAN for retirement readiness (green courses below). Retirement readiness is holistic, not just financial readiness. PROTECT plan from retirement risks (yellow courses below). Retirement risks can torpedo even the best-laid plans and should be assessed before designing a retirement income plan. PROVIDE retirement income (purple courses below). Retirement income planning is more complex than accumulation planning. All resources available (timing of Social Security, Medicare, pre- and after-tax savings and strategies, human capital, home equity, etc.) should be integrated into a retirement income plan. We are a CE Quality Partner of the CFP Board of Standards and have over 60 courses accepted for continuing education (CE) credit for those who have earned the Certified Financial Planner® (CFP®) certification, the College for Financial Planning’s Chartered Retirement Plan Consultant (CRPC) certification, the American College’s designations (ChFC, CLU, RICP), the International Foundation for Retirement Education’s (InFRE) Certified Retirement Counselor® (CRC®) certification, ASPPA and other certification or designations. See our upcoming no-quiz, live webinar schedule here. Set your continuing education on autopilot by becoming a member! 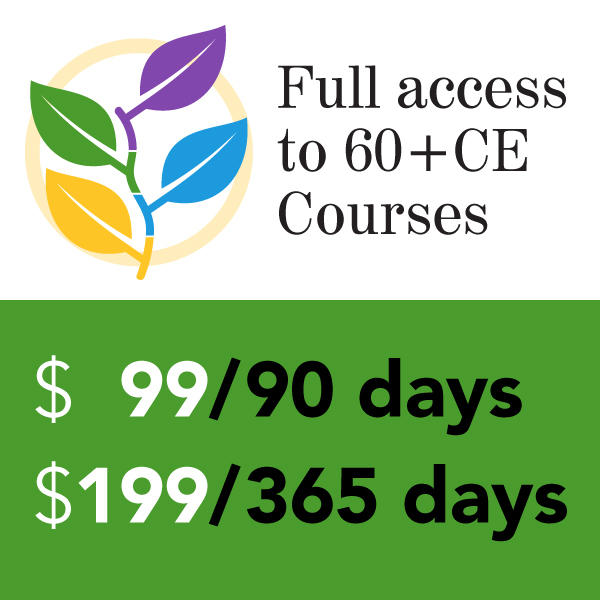 Each course below is $29 when purchased separately (click on the course name for more information), or receive access to 52 weekly rebroadcast or live webinars plus over 60 on-demand courses when you Become a Member. Members receive weekly reminders of the next opportunity to access no-quiz live broadcasts, the most pain-free way to deepen your understanding of today’s retirement environment and how to better serve your clients. Scroll below to see our upcoming live, rebroadcast, and on-demand selection.